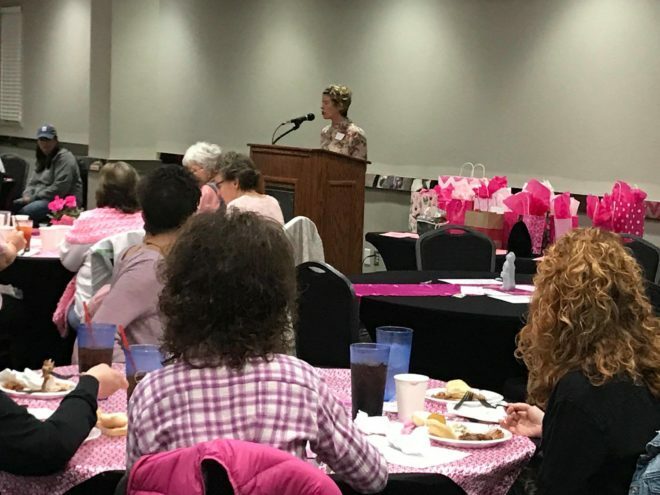 When we met Jennifer Moss, we knew instantly that she had the ability to inspire, connect, and empower individuals experiencing breast cancer. 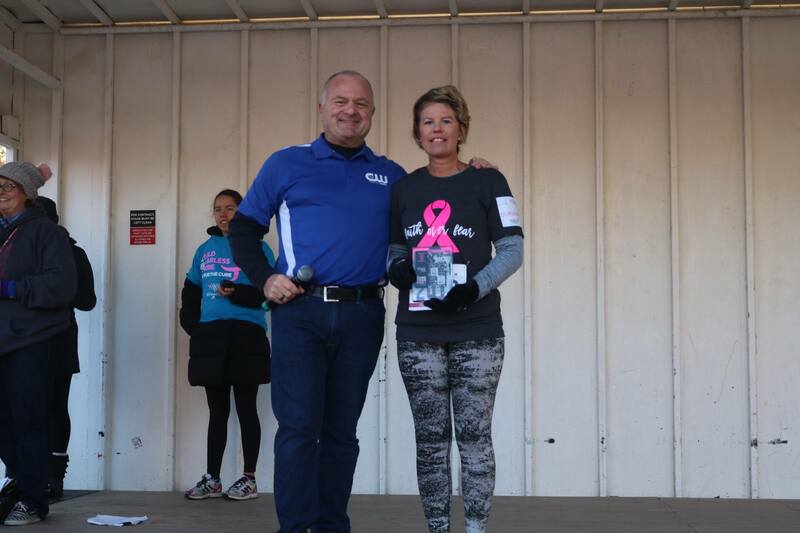 Jennifer was our Honorary Survivor for this year’s Race for the Cure Des Moines event and she wrote an incredibly powerful and honest reflection of her journey. I’ve had a lot of time to reflect on my journey, and wanted to share…. What “Having Breast Cancer” means to me and what it means to those of us who are fighting. It has brought out a lot of emotion and introspect for me. Many of us are not your “typical” patient. The average age is 62 for breast cancer diagnosis. I was 44. Most are overweight. I’m not. Many have other health issues. I didn’t. Over 40,000 women DIED from this just in 2017. 252,710 will be diagnosed with invasive breast cancer just this year. I didn’t and don’t “look” like someone who would have cancer. But at the time leading up to my diagnosis, I had a very aggressive cancer growing in my right breast and didn’t know it. And by the Grace of God….something very, very small showed up on my 2D Mammogram, on a routine mammogram check, that made them call me back for a second look. Which wasn’t even the tumor, that was later found by the ultrasound that was cancerous. I had been working out, running, had my diet in check by eating healthy. I was in the best shape of my life! Everything happened so quickly…. I was first Diagnosed in Des Moines, and my very good friend Nicole pushed me to get a second opinion at Mayo. I was reluctant at first. I just didn’t want to deal with any of it, I just wanted it all go away. She told me one thing …that I will never forget, and still makes me cry every time I say it. She said, “Jenn you only have one life, and one shot for them to get it right, You need to go to Mayo.” And those words. I think about all the time. My Double Mastectomy was scheduled at Mayo less then a month later… and then I started Chemo 10 weeks later after surgery. Also, in the midst of everything I was planning our Wedding in Cancun Mexico. I WAS NOT going to let cancer stop me!! So between the surgery and starting Chemo, we were married September 3, 2017. 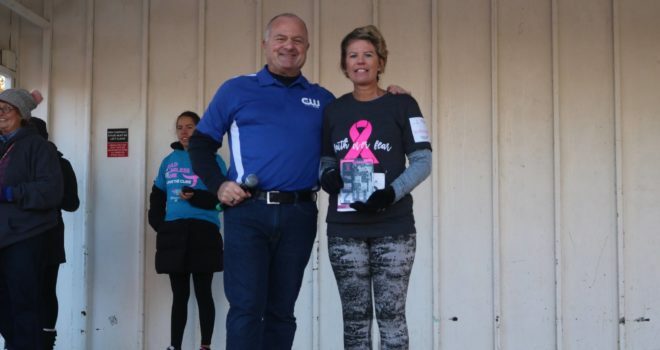 I finished 12 weeks of the tough chemo December 2nd. I lost my all hair, eyelashes, but I kept fighting through it all, to maintain my way of life for my sanity and my children and husband. I vowed to myself that I would show them that when life beats you down you can never ever give up. I kept working out almost every day and I kept working also. Those who know me know that I don’t give up easy. I wouldn’t say I’m strong or brave, I just put one foot in front of the other. I did what I had to do and what I felt was right. To have cancer INFURIATED me beyond belief! And it was the driving force behind of not letting it take away my sanity, more than it already had. But, I wasn’t going to let cancer win. That month from the time of being diagnosed and then having my Double Mastectomy surgery….was the most terrifying time in my life. I had to truly think about my possible death from this disease. I wasn’t going to know until I had the surgery what stage I was/what grade I was…how far the cancer had spread into my lymph nodes, etc. I ended up being a Stage 1/Grade 1. The Cancer had only spread into one lymph node. Thank Goodness! I went through the pain of recovery after surgery and was back to walking (when it was safe to after surgery) and slowly got back into running while I started chemo. Again, I refused to give in and let this define me. I am constantly plagued with fear and worry that this could come back, and that worry that can sometimes paralyze me with fear. I keep fighting. EVERY. DAMN. DAY. I may cry and I may scream but I have to get through it. My journey is is not quite over yet…. I now currently have heart scans every two months to make sure my heart is functioning properly on the chemo drug (herceptin). I had to do of the Herceptin chemo infusions every 3 weeks until Oct 5, 2018! The scans start after chemo to make sure I have no recurrence. Amidst the pink bows and ribbons and smiles and races there is a very dark side to this disease. I never knew how serious breast cancer is and how important it is to raise awareness. Many, many women (TOO MANY) will die from this. Many are in their 30s and 40s with babies and children. The death from it is a very slow and painful one. Don’t think it can’t happen to you or someone you know; cancer doesn’t discriminate. Be aware of your body. Listen to it. If you know someone who is due for a checkup, please encourage them to do it. I hope that my sharing my story will make you think and realize the importance. I also did my genetic testing this past July and I tested negative for both the Brac1 and Brca2 genes, so I wasn’t passed the gene, nor am I am a carrier to pass it on to my kids! I just happen to be a luck of the draw in getting breast cancer. There are good people in this world that want to help… I’ve had to learn to ask for help (and I am not very good at that, or letting people do things for me). I couldn’t have gotten through any of this without my family and friends checking in on me, people I don’t even really know reached out to me. And it means the world to me. So Thank you. Makes me look at Life at whole different way. I hope someday I am able to get out there and help other Breast Cancer patients going through this, and that day is now!